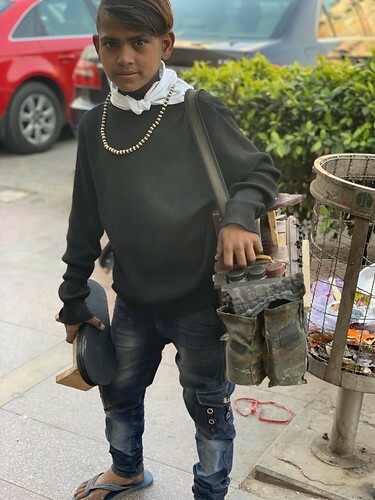 Shoeshine boy Ajay has a knack for marketing. For starters, his hairstyle is distinctive. The 10-year-old explains that he saw this style in a movie, “and then I got it cut exactly the same way.” Close-cropped on one side and denser on the other: “It’s perfect and suits me so well,” he declares. Then there’s that white handkerchief knotted around his neck which makes him appear charmingly roguish. Setting Ajay apart from anybody else in this crowded Connaught Place lane. Shoe-shining runs in the family. 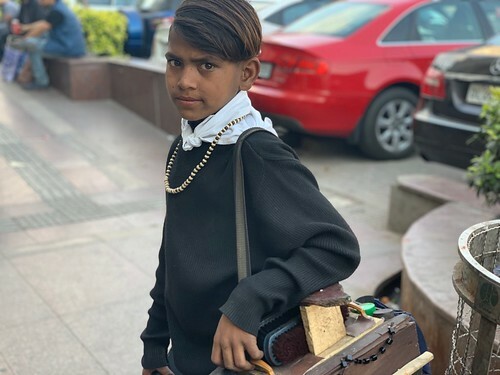 Ajay’s father has the same profession, along with his elder brother. While his mom holds forth as a housemaid. 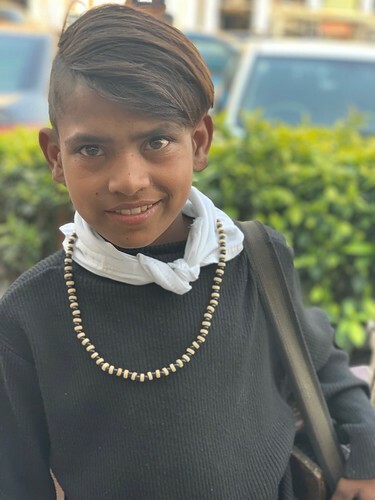 Ajay confesses that he never liked studying, unlike his sister who’s still in school. He’d rather be earning some money. In fact, the new necklace wasn’t inspired by any movie. 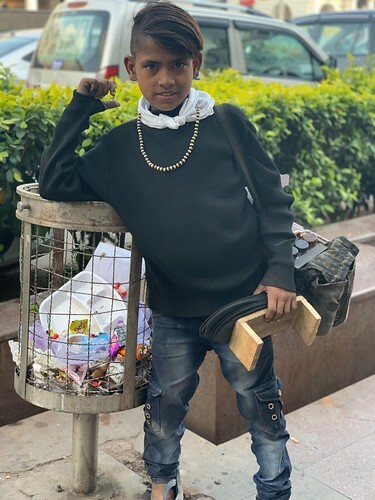 Ajay views it as his very own sartorial statement as he poses for the camera, his elbow stylishly resting against a pavement bin.